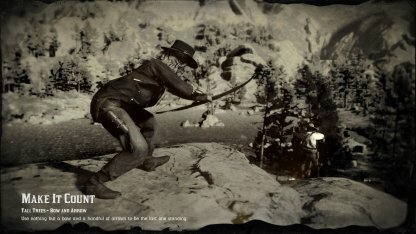 Read this Red Dead Online guide on the Showdown Series - Make it Count! Read on for information on the game mode, gameplay tips, and more! 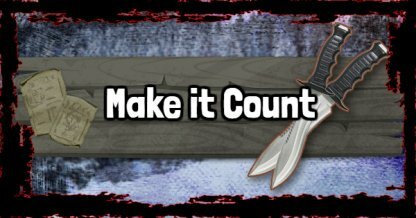 Make it Count makes players use specific weapons to make their kills. It has two modes that feature bows & limited arrows or a small number of throwing knives. The last player standing is the one who wins! Depending on the mode they pick, players need to eliminate their opponents with bows and only a limited number of arrows or throwing knives but only a handful of them. In Make it Count, the player area will gradually shrink, making the mode more challenging and forcing players to get more aggressive within the match. In this game mode, it's up to you to pick your poison. Choose between a bow and some arrows or a handful of throwing knives - it all depends on which weapon you're confident in handling to get you to the top! The player who is the most resourceful and survives until the end of the match will be the winner!